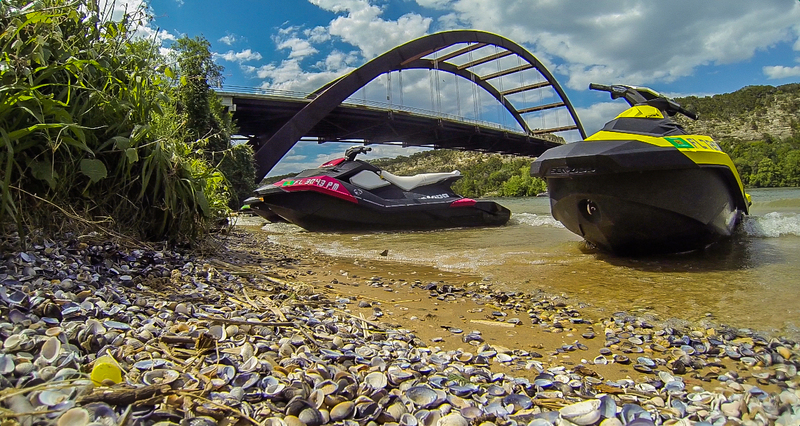 The Sea-Doo #SPARKSOMEFUN Test Ride Tour introduced the Sea-Doo life to nearly 3000 new boaters. The #SPARKSOMEFUN Test Ride Tour that played an integral part in the historic launch of the Sea-Doo Spark watercraft is now complete. 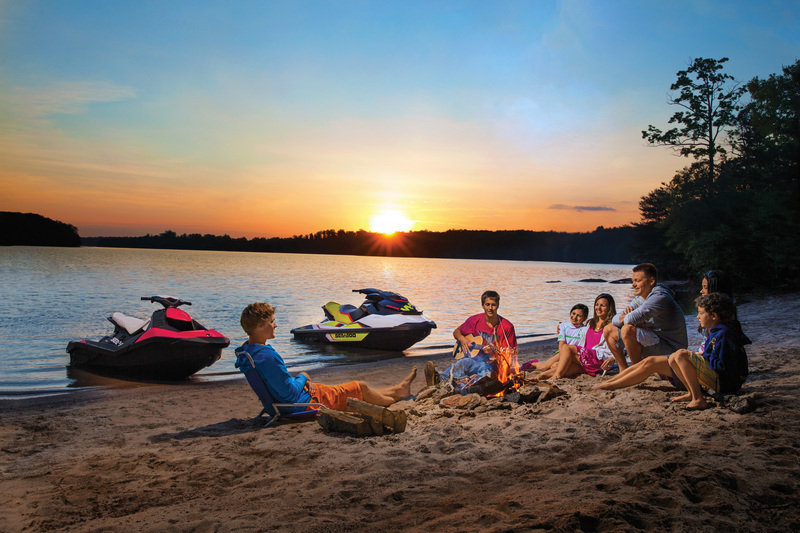 After 33 weekend events across North America the excitement for the new Sea-Doo Spark is peaking as the heart of summer has arrived. 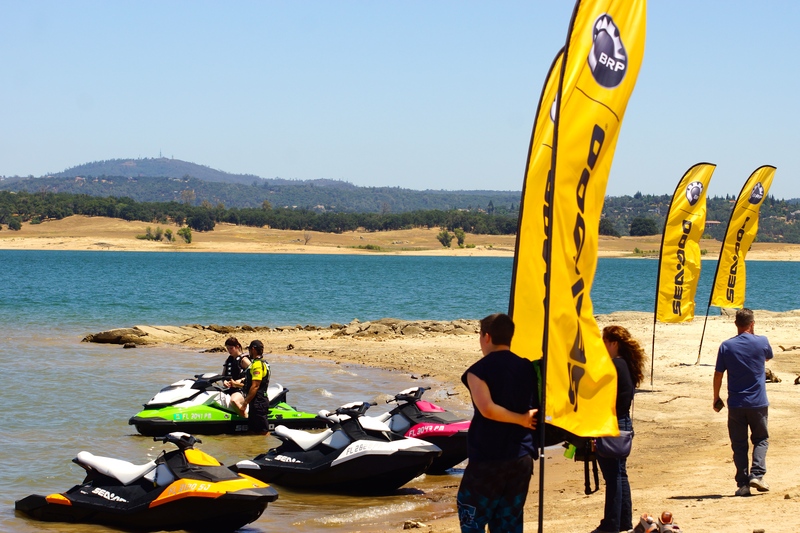 The #SPARKSOMEFUN events provided nearly 3000 watersports fans the first hand experience of test riding a new Sea-Doo watercraft to see what model best fits their needs. 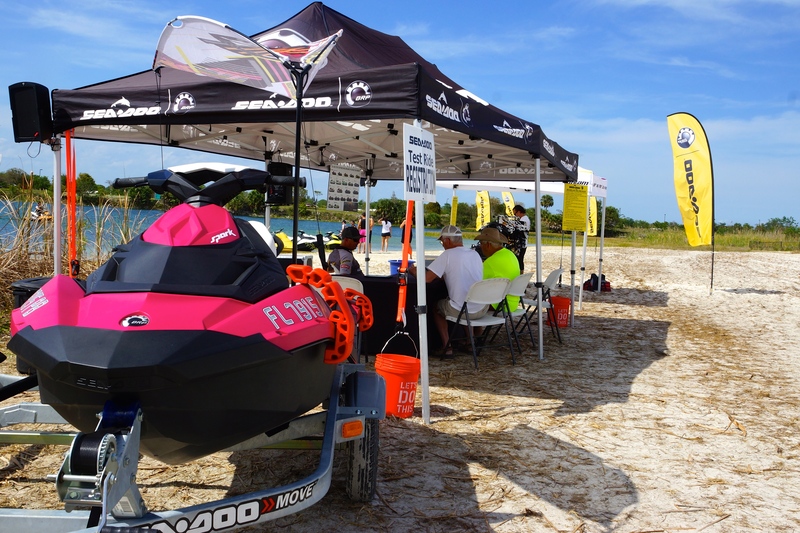 Three Sea-Doo event teams produced weekend events at popular boating areas, working with local BRP dealers to build an experience that gave consumers a taste of what the watercraft lifestyle is all about. Guests were treated to festive events with expert instruction from passionate and knowledgeable Sea-Doo watercraft specialist. 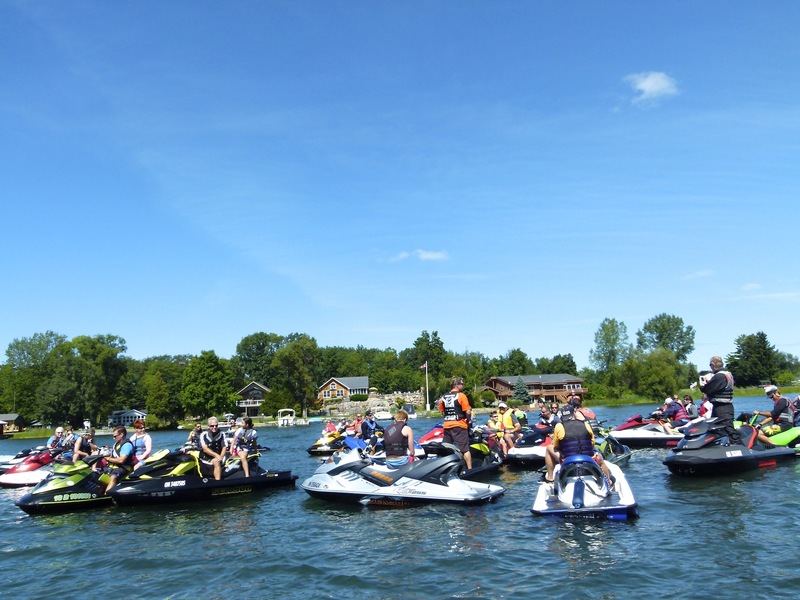 The Sea-Doo staff supplied all the riding gear to ensure guests were safe and comfortable during their time on the water. The #SPARKSOMEFUN course was designed with inspiration from video games with large oversized inflatables to build a course that was fun and easy to follow. 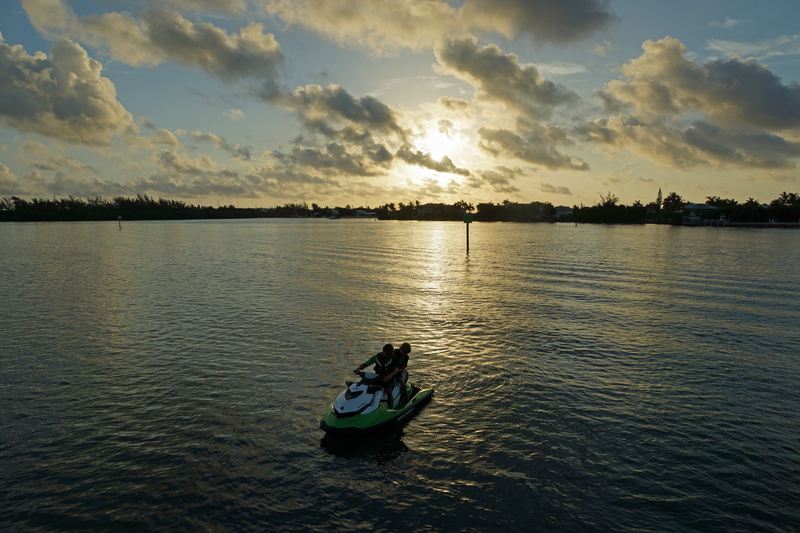 The Sea-Doo Test Ride Tour began in April in South Florida on the heels of the Miami #SPARKSOMEFUN event with deadmau5 and David Garibaldi. That momentum carried through to the Miami Test Ride event, taking place at historic Miami Marine Stadium. 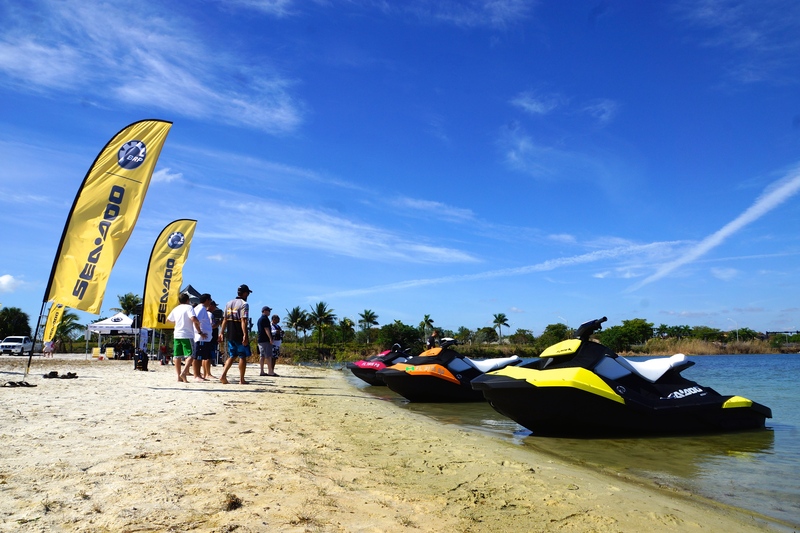 Following successful events in Pompano Beach and Tampa, the Miami event proved to be the season’s most popular in terms of participation with over 240 guests test riding the new Sea-Doo Spark. As Spring weather made its way north, the tour teams followed with events in Texas and Arizona before heading up the east and west coasts and into the great lakes regions. The event venues varied from small private lakes, to large lakes, to rivers and bays. No matter the venue the goal was the same and that was to give guests a full taste of the fun they can have by owning and riding a Sea-Doo watercraft. BRP believes the best manner to pick the right watercraft for your needs is to, “try before you buy.” With the #SPARKSOMEFUN tour visiting new markets such as San Francisco, Seattle, and Quebec City to name a few, the sport of watercraft riding was exposed to an entirely new generation of boaters. 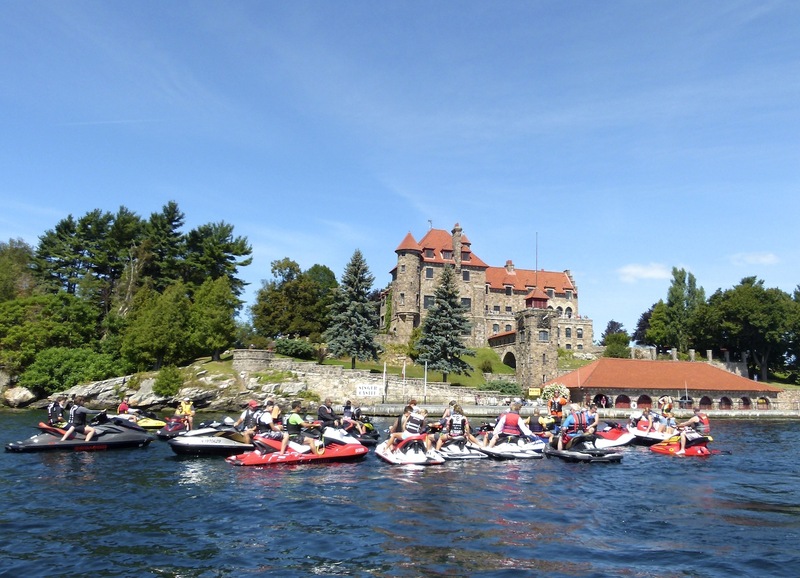 For images of the 2014 Sea-Doo #SPARKSOMEFUN Test Ride Tour visit the Sea-Doo Facebook page and look at the #SPARKSOMEFUN tour album. If you attended an event your picture might be there. 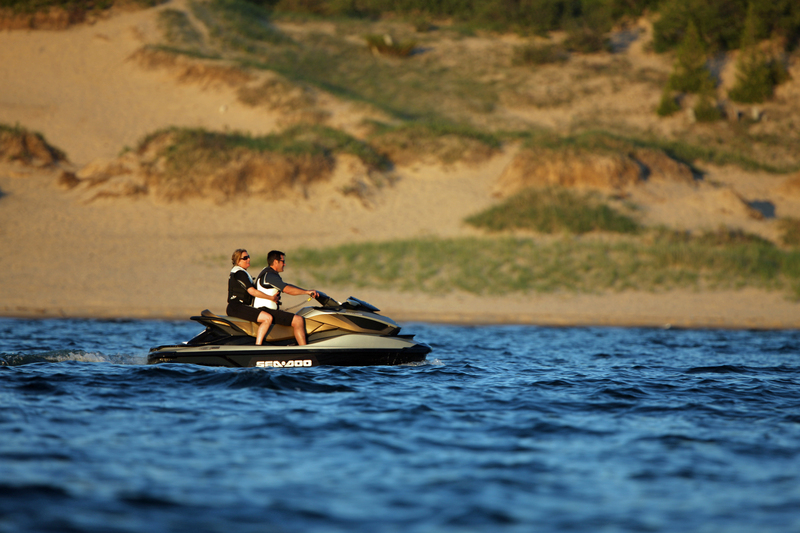 The Sea-Doo Spark is the hot summer watercraft gracing waterways all over the world. The Spark is fun, easy to ride and can easily be personalized to express your own style and attitude. 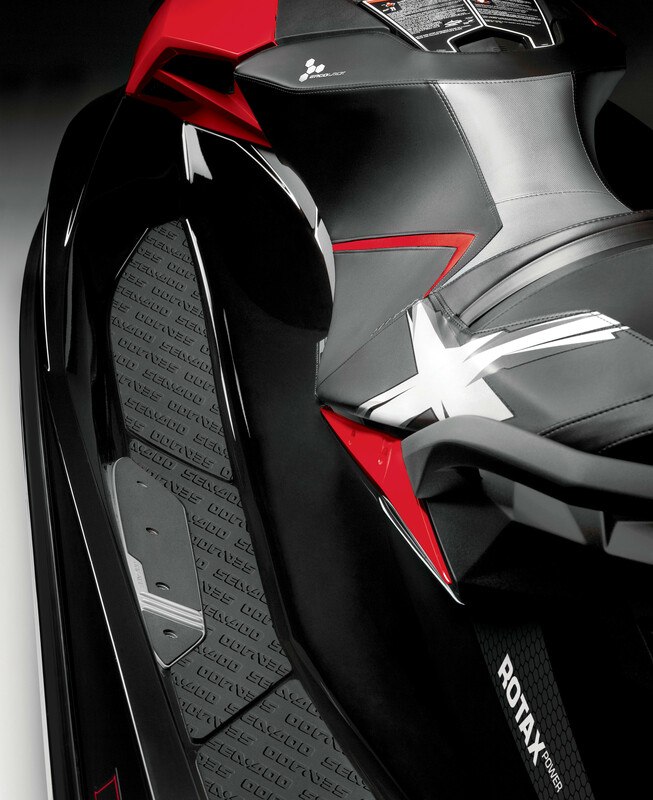 Sea-Doo Attitude Graphic Kits offer a multitude different options and levels of personalization. Choose from 11 different Graphic kits in different coverage options – light, medium or fully wrapped. In addition to wrap format options you can choose from multiple color options for a total of 60 different color combinations. 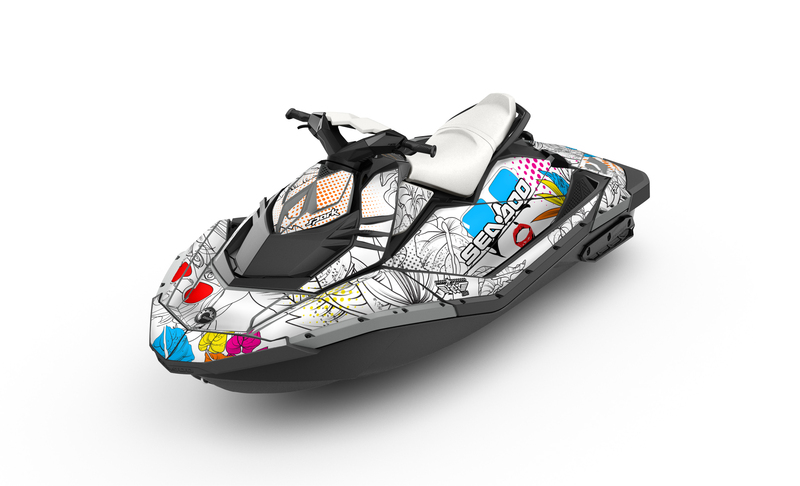 The digital prints are UV resistant and are designed to bond to your Sea-Doo Spark. It’s easy to design and configure your own personal Attitude Graphic Kit, visit our partner SCS Unlimited and browse through the myriad of options for designs and colors and order the wrap directly from the website. You also have the option of developing a custom personalized wrap based on your colors or design. This features is proving to be popular with many celebrities such as music producer deadmau5 (Joel Zimmerman) and Red Bull athlete Aaron Colton. SCS now offers custom registration numbers that can be ordered as an integral part of your Attitude Graphic Kits, or they can be customized and manufactured separately. 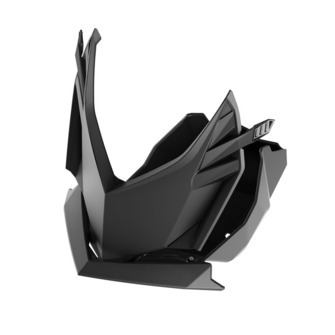 Custom or customizable, the Sea-Doo Spark can help you express your personal style and even provides you with the opportunity to develop your own one-of-a-kind Sea-Doo Spark. It’s summer time and is the season for the family vacation. This means packing the suitcases, and loading them into trunk or roof racks and piling into the car and heading to a destination that will hopefully provide a lifetime worth of fond memories. Summer time also means cooling off in a distant water hole and this is why planning your vacation around a Sea-Doo Road Trip offers the best of everything for watersport lovers. In this blog we’re going to provide you five tips to make your Sea-Doo Road Trip a fun and safe one and provide you with five fabulous destinations across North America. FULL POWER. Your fun can only start if your Sea-Doo does and giving your watercraft a simple test start can check this. If your battery is weak, put it on an automatic battery charger (available from a BRP dealer – BRP part # 529 035 773) overnight and by sunrise you should be at full power. CLEAN IT AND COVER IT. 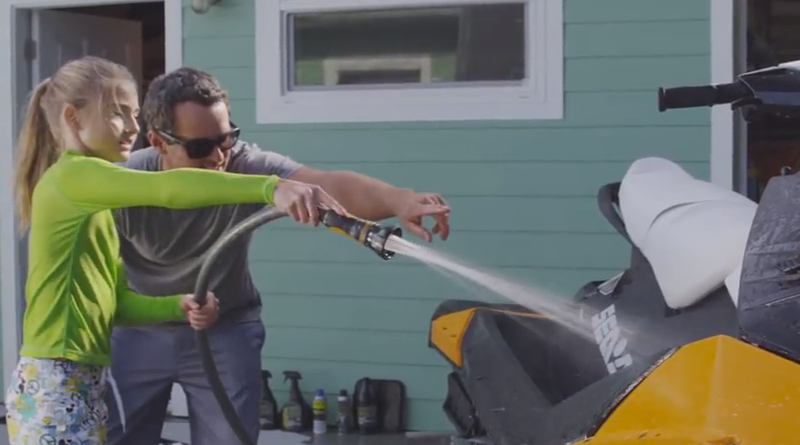 The last thing you want is for your riding gear to get all dirty because your watercraft is dirty. Clean your Sea-Doo with proper detergent and water and wipe the vinyl with quality cleaning products (such as XPS PWC cleaning and detailing kit – BRP part # 219 701 709). After you clean it cover it with a custom fitted Sea-Doo cover to help keep road grime off of it during the trip. CHECK YOUR RIDING GEAR. 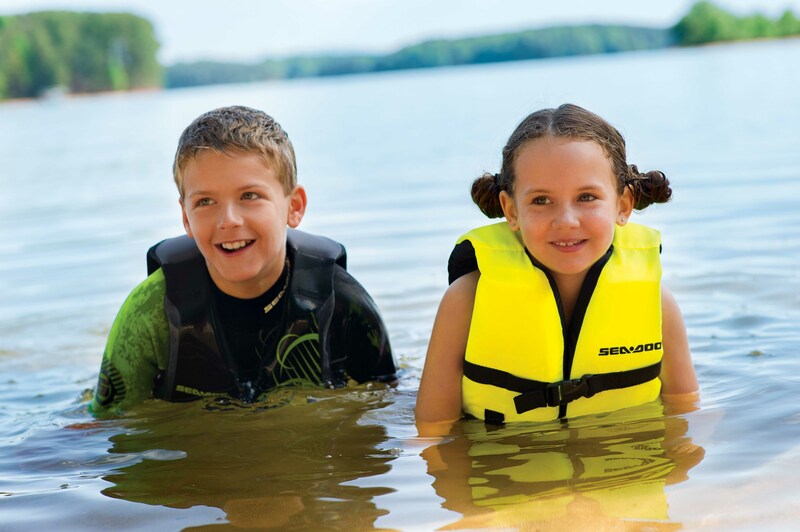 Kids grow fast and the Sea-Doo PFD that they wore last summer might be difficult to buckle this summer. Or if your newfound exercise program helped you lose the extra 20 pounds you have wanted to lose, you may consider purchasing a new Sea-Doo PFD in your new size. Your Sea-Doo PFD should be snug but also allow comfortable movement while riding and proper buoyancy while in the water. TRAILER CHECKUP. Consider your trailer the cradle for your Sea-Doo watercraft as they most likely spend more time on the trailer than in the water. 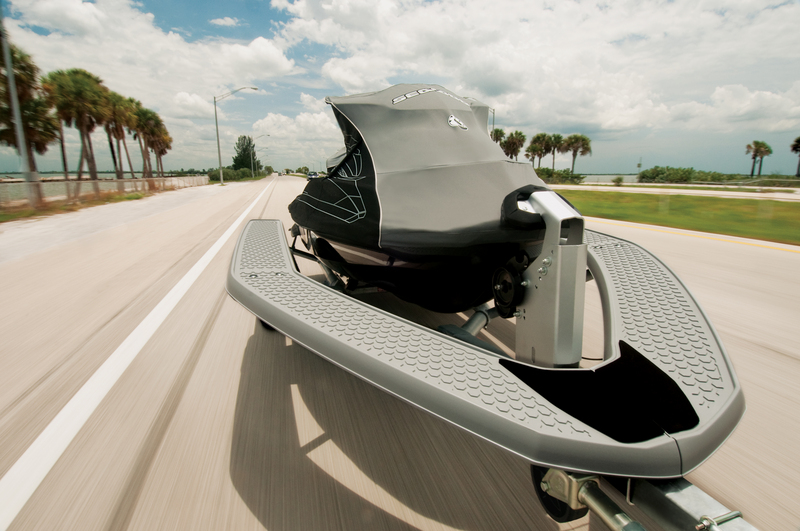 The trailer is what ultimately allows you to take your Sea-Doo watercraft from point A to point B. Check your tires tread wear and air pressure to ensure they are ready for the trip and to ensure maximum fuel efficiency while towing. Also check your wheel bearings to ensure they are tight and lubricated. This is an element you should have a professional check as a bearing failure can cause problems put a major delay on your vacation plans. Last, check that all of your trailer lights work properly including; running lights, turn signals and brake lights. If you have an issue in this area check the vehicle-to-trailer connection and your vehicles fuses and trailer light bulbs. Now that you are ready go, where are you going to go? Here are five of our favorite destinations for all-around Sea-Doo family fun. This gem of a lake offers a touch of the Smokey Mountains in the midst of southern hospitality as it sits on the western side of South Carolina close to Clemson University. The mornings will offer banks of water-level clouds and glass calm waters with vistas of the foothills of the nearby mountain ranges. With dozens of coves, don’t forget your wakeboard or wakeskate as the lake never gets very busy and you can escape for hours of water shred sessions. Lake Keowee is located with-in 500 miles of 50% of the US population making easy to get to with-in a days drive for many. The rental homes and/or waterfront condos are plentiful in the summer and the water is clean and warm. 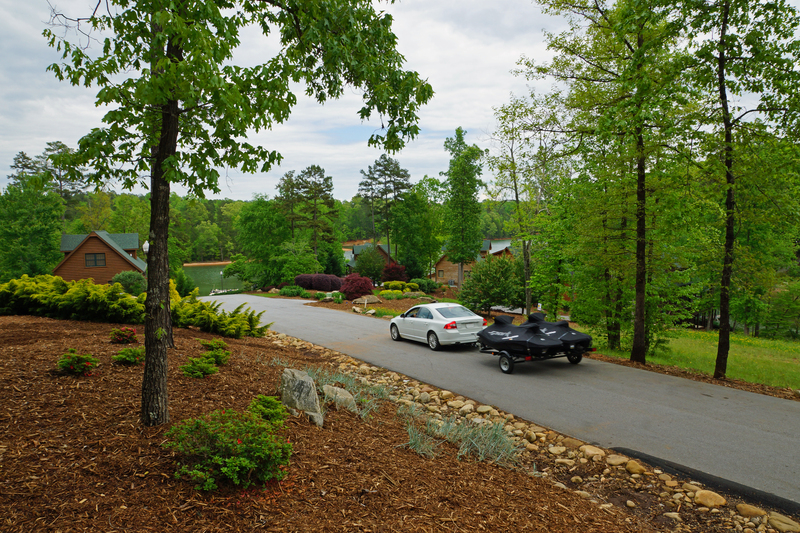 With several public launches and parks combined with numerous marinas with fuel and a few on-water restaurants, Lake Keowee offers a very fun and affordable family get-away. 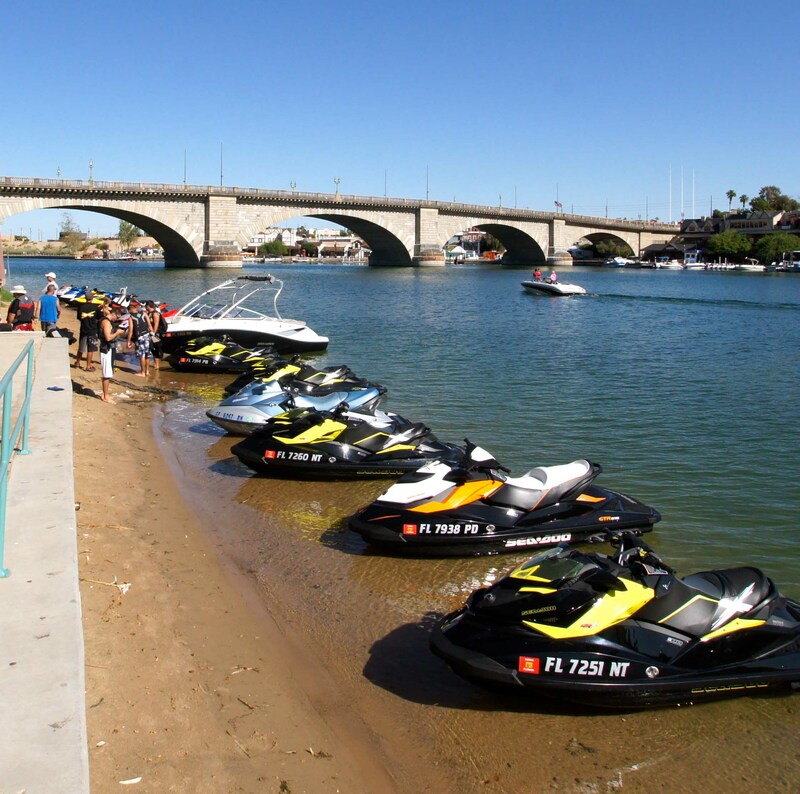 If there is one location worthy of a Sea-Doo pilgrimage, it’s Lake Havasu, Arizona. Longtime home to the annual International Jet Sports Boating Association World Finals, Havasu is the epicenter of the PWC universe every October as racers and their fans from countries far and wide descend upon its sunny shores to do battle in this picturesque lake on the Colorado River. Havasu has a unique history. The city was developed by chainsaw magnate Robert McCulloch, who literally purchased the London Bridge and transported it, block by block, from England to Arizona to serve as the city’s focal point. Visitors can now visit the bridge above by road, or below by boat, navigating the canal McCulloch had dredged for this very purpose. The fun, however, shouldn’t just be confined to the city limits. Bring your Sea-Doo, or rent one if you have to, and venture north along the Colorado River to the scenic cliffs of Topock Gorge. 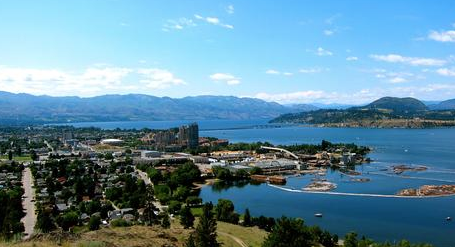 Home to the massive Okanagan Lake, as well as 200 smaller lakes scattered throughout the region, the Okanagan Valley is found within the Interior Plateau of British Columbia. With the majestic Coast Mountains blocking the flow of moist air from the west, summers are — surprise! — actually warm and dry, the perfect weather for enjoying your Sea-Doo. The Florida Keys offers the closest experience to being in the Caribbean with out actually leaving the US. Upon entering Key Largo you will officially be on island time as the string of “keys” stretches 120-miles into the Atlantic and Gulf of Mexico with each surrounded by epic aqua colored water. It’s no coincidence so many boat companies including BRP conduct their product photo shoots in the keys as it is a true boaters paradise. The bay side of the keys offers more protected waters perfect for the Sea-Doo Spark and GTI models and for wake sports but be sure to be considerate of the local fisherman hunting bonefish, tarpon and snook on the back waters. For trips on the ocean side, a Sea-Doo GTX or RXT model would be ideal for charging through the wind chop in comfort with a storage bin full of snorkel gear to dive the miles of living reefs that rest roughly 2-4 miles from the shoreline. From Key Largo to Key West there are plenty of hotel, restaurants and shopping opportunities. There area also a plethora of rental homes for larger vacationing parties and for campers we suggest Long Key State Park at roughly the half way point down highway US 1 at mile-marker 67.5. On the eastern shores of Lake Michigan is the destination area of northern Michigan with the epicenter being Traverse City. Traverse City is a quant Great Lakes area lakeside town with a welcoming little downtown area filled with restaurants and shops while full-scale resorts lie with-in miles of the city center. Water is not in short demand in this area and is a haven for Sea-Doo owners looking to ride in new waters. 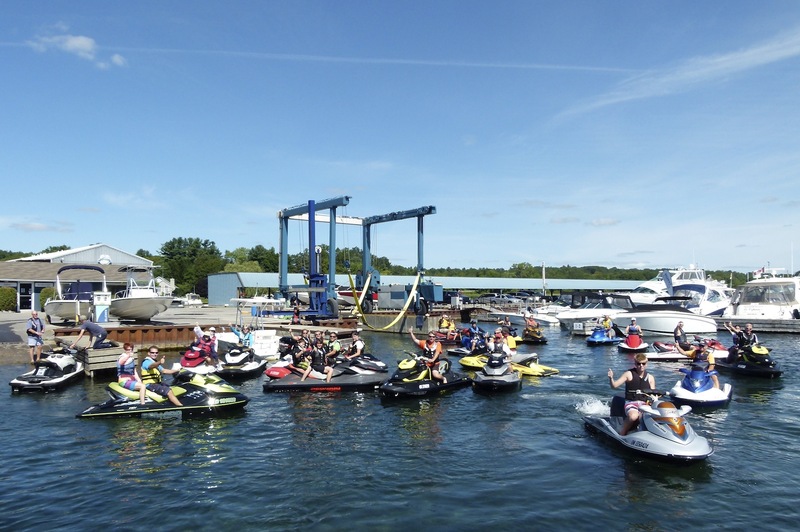 While Sea-Doo riding opportunities are plentiful near Traverse City, hundreds of lakes are with in an hour drive of the city. If you are looking for crystal clear aqua colored waters you don’t have to go to the Florida Keys to get it, visit popular Torch Lake, roughly 45 minutes from Traverse City. The lakes water is truly magical as the sun pierces the water and reflects off of the white sand bottom that could easily be mistaken for the waters of the Caribbean or Tahiti, but with out the salt and a bit cooler. As a destination location the area is very seasonal with hundreds of accommodation options and entertainment off of the water with go cart tracks, mini golf for the kids and countless 36-hole golf course for the adults. The areas geographic latitude provides long summer days that stretch sunsets to 10PM allowing maximum fun time on the water. One of the many advantages of owning a Sea-Doo watercraft is the ease of use and they provide one more entertainment piece for your family to build many memories of a lifetime. Have you seen Capital Cities’ latest music video “One More Minute” featuring BRP’s new Sea-Doo Spark watercraft? The Sea-Doo Spark is one of the ‘stars’ of the video. You may recognize this song as the it is also the featured soundtrack for the Sea-Doo Spark broadcast commercial spot, “Spark Some Fun”. 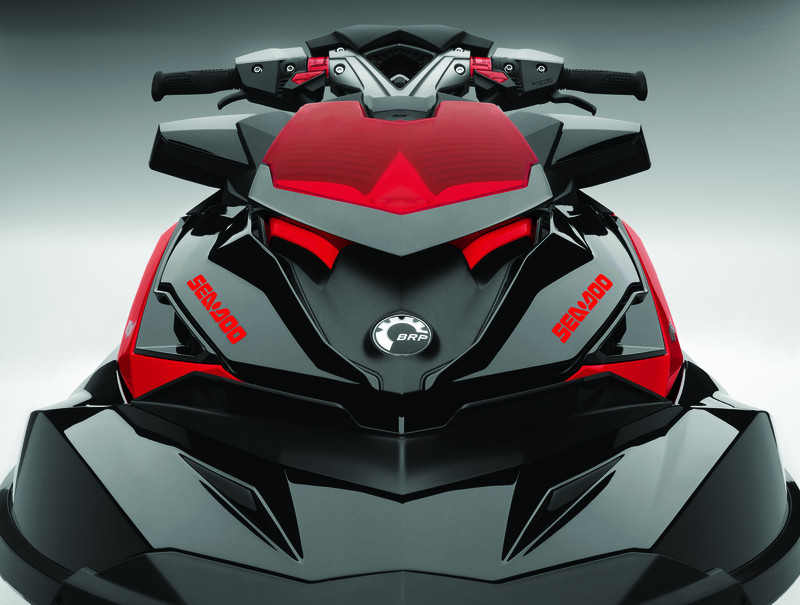 Through collaborating on the project, Capital Cities became enamoured with the watercraft’s colorful and spirited visual appeal, deciding to give Sea-Doo Spark models a leading role in this video. “Capital Cities is one of the hottest up and coming bands and the Sea-Doo Spark is poised to be the biggest watersport hit of this summer. The opportunity to bring the two together in a summer fun themed new music video is a perfect combination.” said Chris Dawson, vice president and general manager, Global Sales and Consumer Experience division. 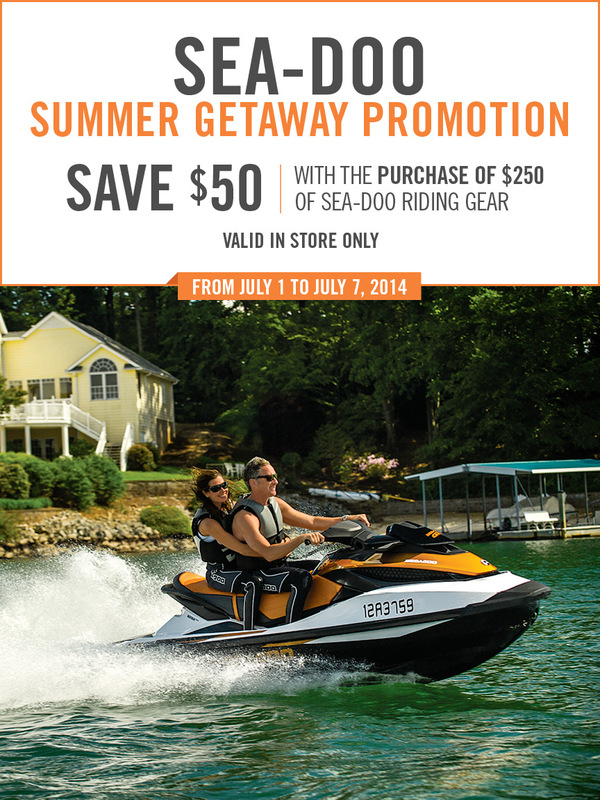 Don’t miss the Sea-Doo Summer Get Away Promotion! Save $50! Now it the time to save $50 on Sea-Doo riding gear! Hurry! The promotion is only valid July 1-7! 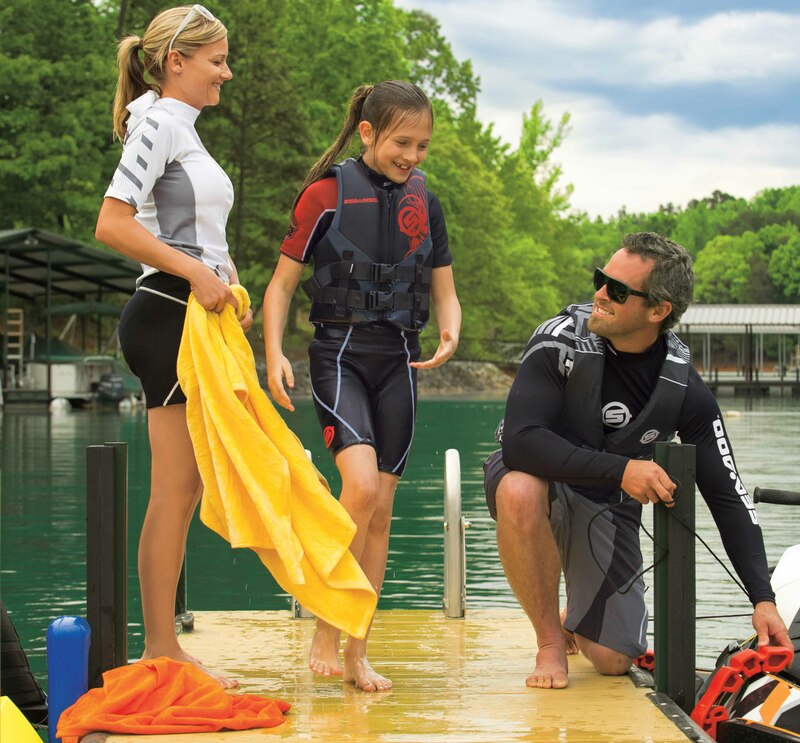 Stay cool on and off the water in Sea-Doo gear for her! A weekend on the water is the perfect escape from the everyday reality of work, sports, school or any other Monday-Friday routine. Packing your suitcase for your weekend escape is easy with Sea-Doo’s full line up of fun, sporty gear designed to both keep you comfortable and in style! The Breeze Dress is stretchy and comfortable and has a mesh upper back to keep you cool! It comes in a bright pink or charcoal gray—a different color dress for every mood! This is perfect as a cover up when heading to and from the water or as a dress when headed out to lunch at your favorite on-water restaurant. Perfectly paired with the Breeze Dress is our Splash Bikini Top. This sport bikini top provides support and dries quickly. It is versatile and can go from the water directly to the beach for that pick up sand volleyball game. The Splash Bikini Top is available in pink or black. Ideal for both comfort and safety on the water are the Ladies’ Neoprene Shorts. These neoprene shorts are perfect for riding and are easy to pull off and on post ride. They include a drawstring at the waist and are designed to fit snugly. Perfect for keeping you protected from the element while turning heads, Sea-Doo Rashguards offer SPF 50 UV protection. They are so comfortable you won’t want to take it off when you are done riding for the day! 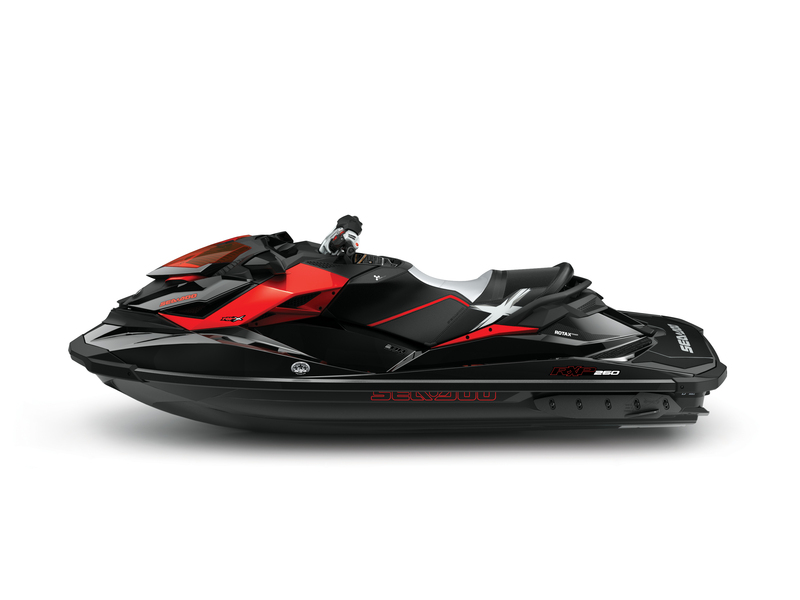 Please visit your closest Sea-Doo dealer or store.sea-doo.com to view our entire lineup of Sea-Doo riding gear.